Is there such a thing as a “diet for diabetics”? 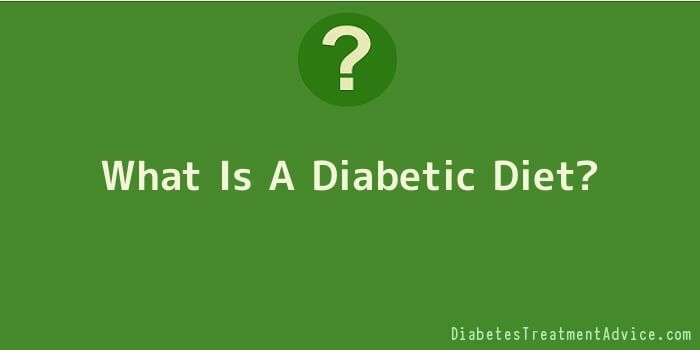 If there is, then what is a diabetic diet? You’ve heard of the Atkins diet, the grape fruit diet and numerous other diets over the years and likelihood is that you’ve tried one or more of these at some point or another, to help you lose weight. But what diet does a diabetic go on? How does a diabetic make sure that he/she can go on a diet that does not drive sugar levels high nor ends up as close to suffering from hypoglycaemia? This can only be ensured by following a diet that takes all the requirements of a diabetic into consideration. A diabetic diet is different in the sense that the food recommended to be part of the diet will also help you keep track of your blood pressure levels, cholesterol levels, and leaves out any food that could lead to heart disease. By encouraging diabetics to also count the calories they eat, a diabetic diet also helps you to lose weight. There are many different types of diabetic diets such as the 1800-calorie diet, the diabetes exchange diet and the plate method, whereby you choose the food that you will eat for each meal. You can also use the food pyramid as a guide to help you plan your diet. A diabetic diet will include foods from each of the different food groups, namely, dairy products, meats, fruit, vegetables, nuts and legumes, and of course bread/rice/pasta. So, what is a diabetic diet, again? Many diabetics assume that going on a diabetic diet means giving up on tasty food, but that is not the case. Just like other types of diets you only need to watch your intake of food, and consume the food in portions over a span of a few days. Keep in mind that you can’t choose to skip meals if your aim is mainly to lose weight because this could cause your blood sugar levels to suddenly drop. Keep in mind that it’s always useful to understand your needs and requirements based on whether you are a Type 1 diabetic or a Type 2 diabetic. This would help you to make the right decisions so as to ensure that your blood glucose levels are kept in check with the combination of medication/insulin and your food intake. If you are a type 2 diabetic you will probably be put on a diet like the 1800-calorie diabetic diet. A type 1 diabetic is encouraged to eat no more than 35 calories per kg based on their body weight, each day. If you know of a child who suffers from diabetes however, the diet plan will differ. While the diet is generally very similar for both types in terms of food items, you must seek the advice of your doctor, who may also be able to give you some information regarding what is a diabetic diet.